We were recently asked to fit shutters to this room with a non-standard shaped window and recess to a property in Crystal Palace, South London. 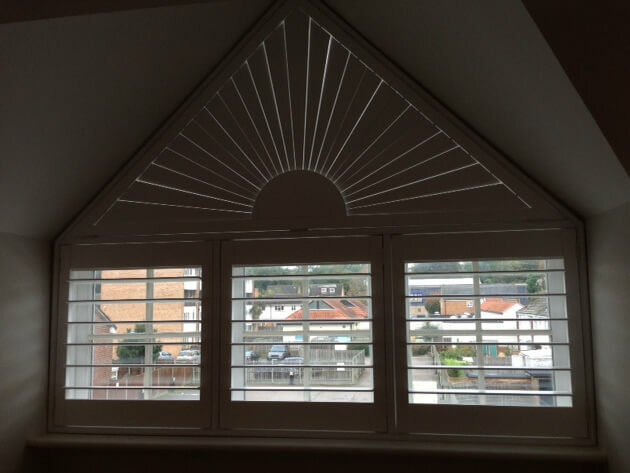 The great thing about our bespoke shutters is that we can come up with a design and installation solution for all types of windows no matter what the shape. These shutters come complete with a Radiating Triangle top style with a row of three square shutters sat below. 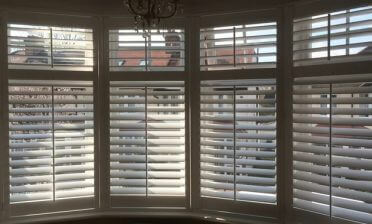 For this job we produced shutters from our Cuba Range in Pure white with matching white hinges. 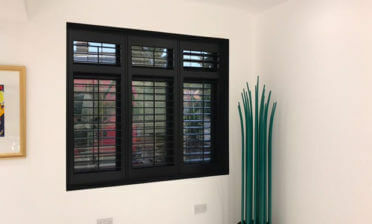 The louvres are 89mm completed with hidden tilt rods to give a clean minimalistic look to the whole set of shutters. 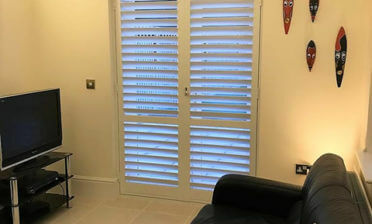 With these shutters the owner has fantastic versatility over light and privacy which can be adjusted quickly and easily by touch of the louvres.